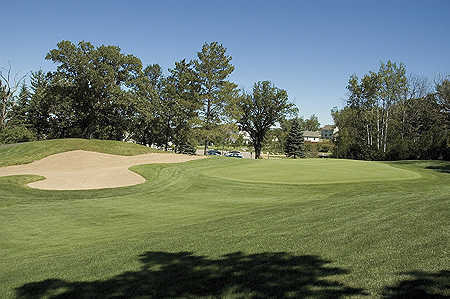 Arbor Pointe Golf Course is a 9-hole executive course in Inver Grove Heights, MN. The course lies amongst residential housing, both natural and created wetland areas, and beautiful stands of hardwood trees. Enebak performed the clearing, rough grading, sub-surface drainage, shaping, finishing, seeding and the paving.